The theological worldview of the Taiping Heavenly Kingdom (1851–64) is an excellent example of Christianity’s capacity to transform and become locally meaningful in new cultural settings. 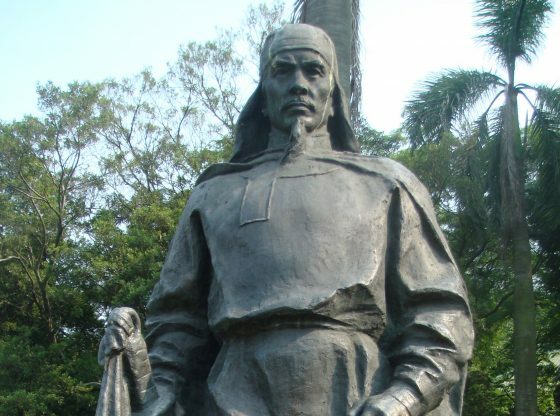 Presenting himself as the second son of God and younger brother of Jesus, the Taiping leader Hong Xiuquan (1814–64) developed a new Christian belief system that was heavily influenced by Confucianism and Chinese popular religion. This localised form of Christianity was not a simple product of Hong’s ‘deviant’ mind, but was inspired by terms and themes in the Chinese Christian texts that he received between 1836 and 1847 (namely, Liang Fa’s Good Words to Admonish the Age and the Gützlaff Bible). Hong’s transformation of the Christian religion was, in other words, rooted in the translation work of Protestant missionaries and their Chinese assistants. Exploring Taiping Christianity can thus help us to understand the cultural impact of global Protestant missions and the processes by which new forms of Christianity have emerged across the world. Protestant missionaries and historians who shared their assumptions presented the Taiping religion not as an example of Christianity’s capacity to transform, but as a distortion of what they saw as the ‘universal’ beliefs and values of the religion. As one of many possible examples, the Episcopalian Samuel Schereschewsky (1831–1906) described the Taipings’ interpretation of Christianity as ‘spurious’ and denounced them as ‘pseudo-Christian insurgents’. This representation of the Taipings as inauthentically Christian later found expression in the writings of Christian scholars and historians. Eugene Boardman, for example, argued that the Taipings neglected the Golden Rule and Christian teachings on love, charity and humility. He thus concluded that the religion of the Taipings was Christian-influenced but ‘not Christianity’. The scholar-missionary Samuel Moffett similarly emphasised Hong’s ‘distortion’ of biblical teachings and labelled the Taiping religion as ‘pseudo-Christianity’. Rather than attempting to understand the linguistic and cultural origins of the Taipings’ localised form of Christianity, these essentialist interpretations simply dismiss it as a ‘heterodox’ departure from what they regard as a universally valid system of truth. The ‘madness’ of Hong Xiuquan is another exclusionary discourse that has been used to emphasise the ‘abnormality’ of the Taiping worldview. Those who represent the Taiping leader in this way often cite as evidence the visions that he experienced in 1837. According to the official account of those visions, Hong ascended to heaven and met both the Heavenly Father and the Heavenly Elder Brother, Jesus Christ. Despite the problematic nature of the evidence, many writers and historians have concluded from the record of Hong’s visions that he was the victim of a serious mental illness. P.M. Yap, for example, has claimed that Hong’s visions and behaviour confirm that he was ‘suffering from delusional ideas of psychotic intensity’. Jen Yu-wen has similarly classified the Taiping leader as ‘the victim of an acute mental illness of psychotic nature’. The continued influence of these ‘psychological’ explanations can be seen in non-specialist works that depict the Taiping leader as ‘deranged’, ‘mentally unbalanced’, and ‘confused and psychotic’. This representation of Hong as psychologically abnormal promotes not a critical understanding of his localised form of Christianity, but rather the exclusion of him and his belief system as deviant and fundamentally irrational. Rather than dismissing the Taipings as theologically and psychologically abnormal, we can – thanks to the large body of publications that they left behind – examine the linguistic and cultural origins of the unique theological worldview that they created. The Taiping doctrine of God illustrates this point well. Because the Chinese Christian texts (in particular, the Gützlaff Bible) that Hong received used the classical term Shangdi (‘Supreme Lord/God’) as the name for God, Hong concluded that his newfound God was the deity of ancient China. This conclusion not only enabled Hong to emphasise the ‘Chinese’ character of the Christian God, but also encouraged him to view that God as a unitary deity consisting of the Heavenly Father alone. The classical Shangdi was not the Trinitarian God who existed as Father, Son and Holy Spirit, but a singular deity who acted as the ‘ruler of the people below’. Thus, the decision of missionaries to translate God as Shangdi laid the foundations for Hong’s radically monotheistic, non-Trinitarian doctrine of God. Hong’s rejection of the Trinity should not, in other words, be treated as evidence of ignorance and irrationality. Hong’s notion of a hierarchical relationship between God and Jesus (his non-divine son) was also inspired by terms that he met in Chinese Christian texts. As the Gützlaff Bible and Liang’s Good Words described God and Jesus in the familial language of ‘father’ (fu) and ‘son’ (zi), Hong interpreted their relation to one another through the Confucian doctrine of the five relationships (wulun). That doctrine, which was at the heart of China’s Confucian ethical orthodoxy, promoted age- and gender-based status distinctions and specifically emphasised the obligation of sons to revere their fathers. Whilst the Trinitarian doctrine of the missionaries presented the Father and Son as equal members of the Godhead, Hong believed that the idea of their equality obscured the distinction of status that characterised the father-son relationship. The Taipings thus depicted Jesus as higher than all other human beings (including his younger brother Hong) but subordinate to the Heavenly Father Shangdi. This example shows how the relationship between language and culture helped to generate new theological meanings. Although Taiping Christianity is a thing of the past, it offers an important historical lesson for those exploring the development of new forms of Christianity in the non-Western world. Judging those forms against an external standard of orthodoxy not only reinforces the illusion that the meaning of Christianity is fixed, but also promotes the marginalisation (as heterodox) of groups that deserve a central place in the study of world Christianity. By examining the theologies of these marginalised groups, we can transcend narrow, essentialist definitions of Christianity and understand the processes by which new forms of the religion have emerged across the world. The theology of the Taipings clearly demonstrates how translated Bibles and texts – because of the intimate relationship between language and culture – can connect Christianity to indigenous cultural worlds and thereby facilitate its localisation. This insight challenges Western-centric conceptions of Christianity and provides an interpretive tool through which we can explore and understand, rather than judge and exclude, Chinese and other non-Western forms of the religion. Carl Kilcourse is Lecturer in East Asian History at Manchester Metropolitan University. His research focuses on the theological worldview of the Taipings and the responses of Protestant missionaries to their localised form of Christianity. His monograph Taiping Theology: The Localization of Christianity in China, 1843–64 (Palgrave Macmillan) was published in 2016. Image provided by author.